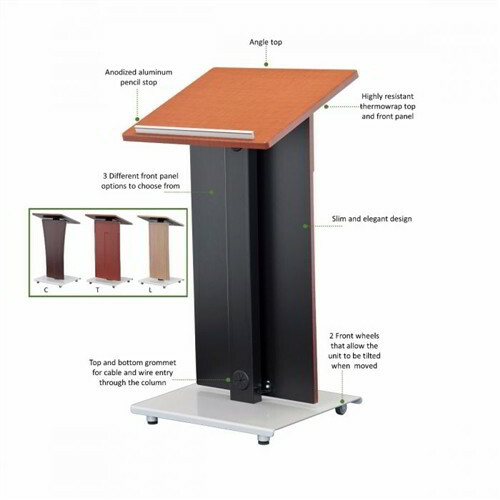 Professional mobile lecterns are ideal for use as speaker platforms, customer service desks, audiovisual presentations, and more. Their versatility is great for a wide variety of applications in education, retail, business, and more. See below for a list of optional features; contact us to include the desired options with your order. 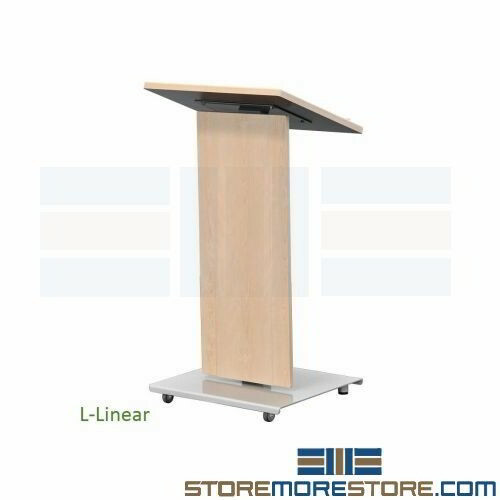 These durable lecterns can be used in universities, businesses and customer service, religious establishments, conferences, public speaking events, and more. Its flexible design allows for easy integration of electronic equipment for multimedia use in audiovisual applications. Lecterns and podiums are available with a variety of optional features. Not all options are available on every unit. Contact us for all available options for a specified unit.